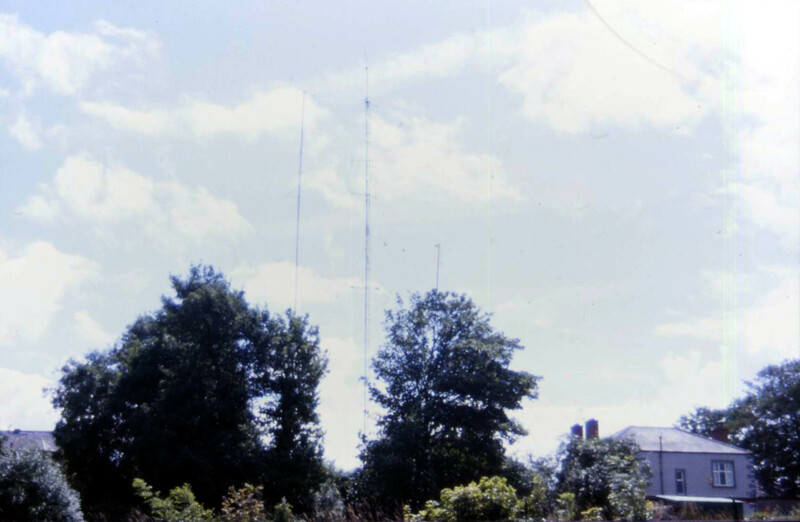 At one time the longest running pirate station in Ireland, or maybe even the world. There is so much information available on Radio Dublin, we have split this page into some sort of date order. 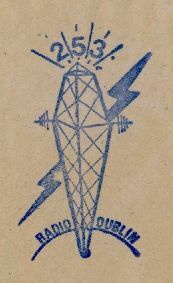 Radio Dublin from the back. 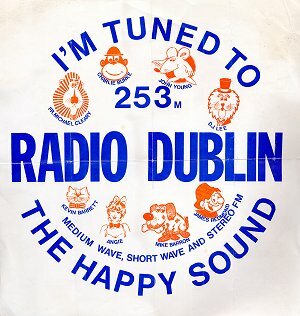 Listen to the theme song of Radio Dublin, "I Like It" by "The DA Band"
These three history sheets, signed at the end by 'The Captain' give a more detailed account of the Radio Dublin story up just before the marathon broadcast of Christmas 1977, which was to lead to full seven day operation several week later. The station now not only had its own mailing address of 20 Ranelagh, Dublin, but also advertised a telephone number. 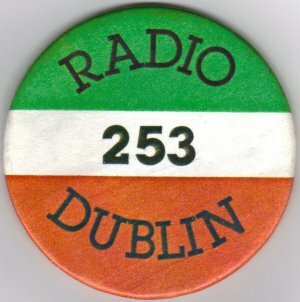 The two Page History of Radio Dublin from 1980 were received in September, and brings the Radio Dublin story up to the point when Channel 2 was is operation. The station studio during this period was between locations, as can be seen by the two seperate addresses on these history sheets. Also at this time, Radio Dublin was putting out a very powerful shortwave signal in the 48 metre band. 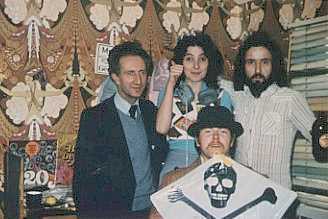 Left: A rare old photo of Captain Cooke, Debbie Moore, Doctor Don, and Prince Terry (seated). For the record, Eamon is not a Captain, Don Moore is not a Doctor, Prince Terry is not a Prince. However there is a photo of a real Queen elsewhere on this site!! 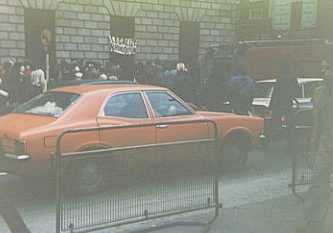 Right: Dr Don is reputed to have set himself on fire for publicity in the 70s. 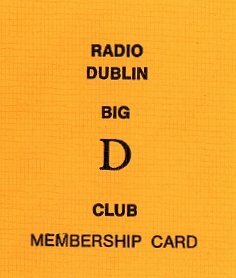 An old Radio Dublin club card from 1977, from the collection of Gary Hogg. 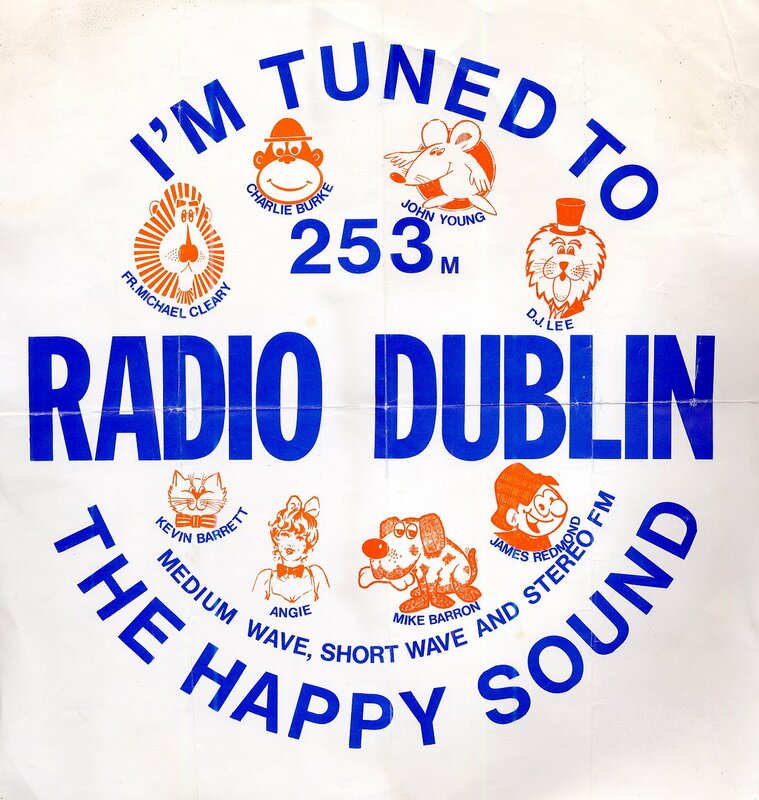 Note how Radio Dublin used to also call themselves the Big D before the split. 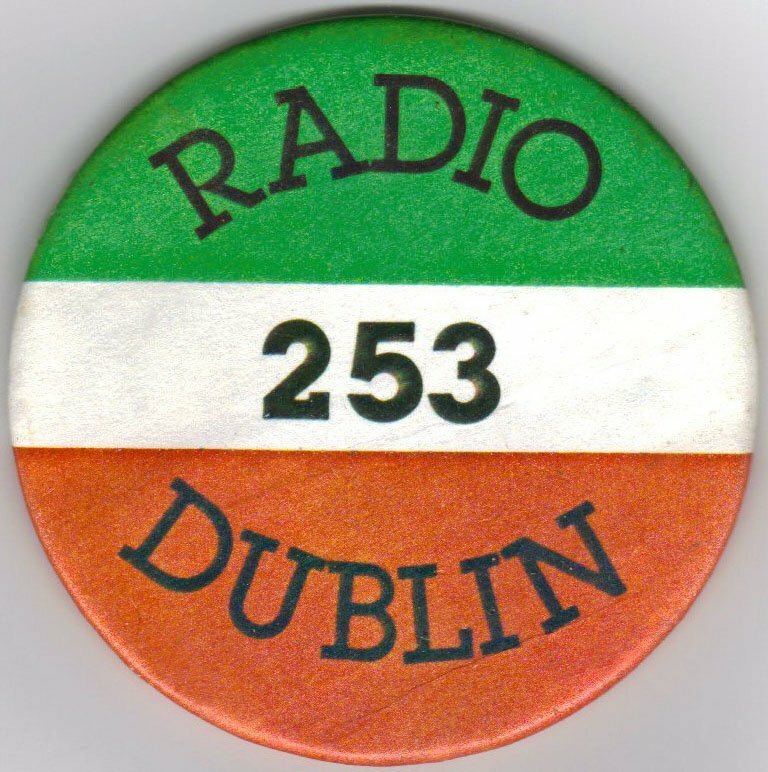 Right: Radio Dublin 253 badge, image supplied by Brian Greene. 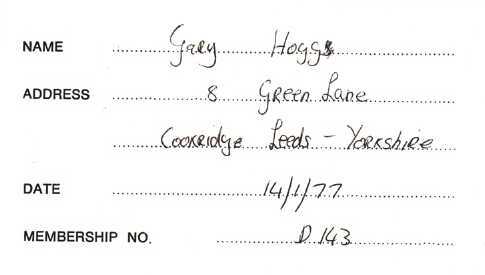 This image was stamped on the envelopes sent out to listeners in the late 1970's. Radio Dublin were obviously not frightened to advertise the fact that the letter was coming from them.